This truly special experience starting at Squerryes winery taking you up to Squerryes Court for a tour of our private gardens. This will be one of only three occasions this year that we will open our gardens. 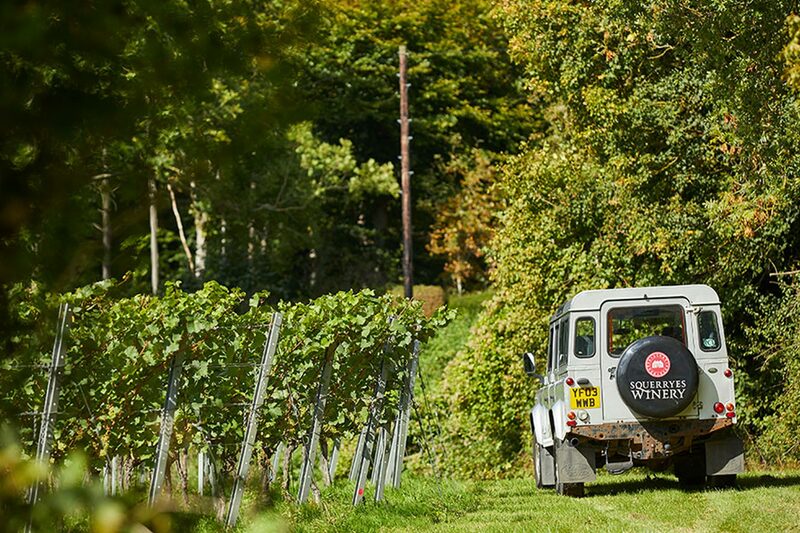 We will then take you on a guided tour of our private vineyard, nestled high on the North Downs, learning more about our terroir that ensures we are able to harvest the finest fruit to make our gold medal winning Squerryes. The tour finishes at our Winery with a tutored tasting of 3 of our vintage wines, and a seasonal lunch prepared by our in-house chefs. All transport is provided in our Estate Land Rover.